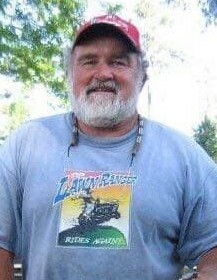 Obituary for Melvin O'Neal Garner, Jr. | Munden Funeral Home & Crematory, Inc.
Melvin O’Neal Garner, Jr., beloved family man and friend, passed away on April 2, 2019, with family by his side. In his 67 years, Melvin never met a stranger and his big-hearted, one-of-a-kind character left countless smiles, stories, and lasting impressions for all who knew him. Melvin relished the simple pleasures of life, spending time with loved ones, and serving in the community. Raised predominantly in Havelock, NC, Melvin graduated from Havelock High School in 1969. He met and married Lilli Anne Nelson in 1974 and together they raised two sons, Donovan and Daniel. He built a career in civil service at MCAS Cherry Point, where he served for thirty-four years until his retirement in 2007. A talented athlete with a sense of adventure in his younger days, Melvin was a true man’s man. 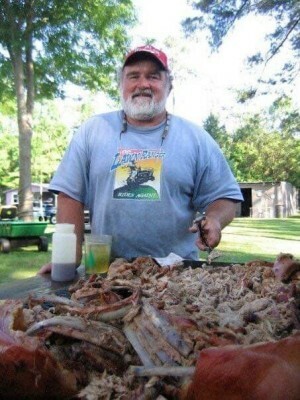 Over the years, he could be found hunting, fishing, camping, boating, barbecuing, fixing just about anything, and relaxing by a fire pit at the end of a day. Melvin was a strong character and a genuine, down-to-earth friend who impacted others with his kindness and humor. He made it his goal to pull a smile out of folks with his infectious charisma, sharp wit and antics, and friendly spirit. Melvin embraced small town life in Eastern NC and was passionate about serving there. With Lilli by his side, he volunteered at Newport Elementary, led the Newport Pop Warner football league in its budding years, and coached youth basketball teams. They also helped with the Newport Pig Cooking Contest and were popular in catering Eastern NC style BBQ meals for community and family events for over 25 years. Melvin is survived by his devoted wife of 44 years, Lilli, sons, Donovan and Daniel, and their families, mother, Clara “Jean,” brother, Ashley, and his family, sister, Peggie, canine companion, Rambo, and many cherished extended family members and friends. He was preceded in death by his father, Melvin O’Neal “Neal” Garner, Sr. In lieu of flowers, donations may be made in his honor to the Preston Robert Tisch Brain Tumor Center at Duke. Donations may be made online at https://www.gifts.duke.edu/dukehealth/?designation=3912597 or checks may be made payable to Tisch Brain Tumor Center, DUMC Box 3624, Durham, NC 27710.